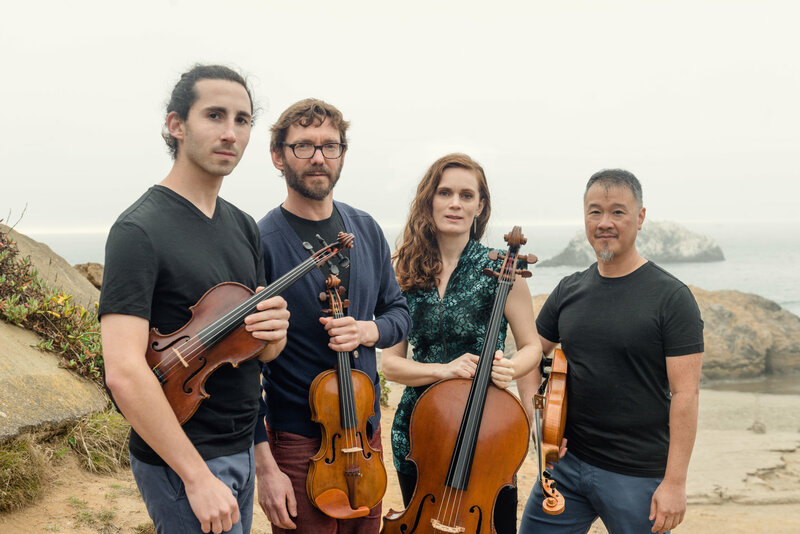 The festival will include performances by two internationally known ensembles, the Del Sol String Quartet and wasteLAnd--each playing the work of UCSC student composers. “Because of the community-based emphasis of the festival, the director is both a facilitator of ideas already ‘in the air’ and an innovator and mover who creates and develops opportunities for expanding and communicating our creative potential,” said Jones. The concert series kicks off on April 6th with Karlton Hester's Quantum Elders Hip-Bop Ballet, which Jones describes as a 10-part multimedia program featuring both preconceived and spontaneous ("improvised") musical compositions with live African and hip hop dancers and original video synthesis. “Sinister Resonance" is the title of the April 12th concert which offers arrangements by music professor Larry Polansky and lecturer William Coulter of mid-20th-century works by ultramodernist composers Ruth Crawford Seeger (Sacco, Vanzetti) and Henry Cowell (Sinister Resonance). That concert will also feature music by UCSC faculty composers, including Hi Kyung Kim’s new version of her Untamed Brush I for viola and Jones’s new work for violin and Disklavier (computer-controlled piano). Festival founder David Cope will additionally bring back Parallax (1974), an evocative work for voice and piano, and Chris Pratorius Gomez will conclude the evening with his setting of Edgar Allen Poe's A Dream Within a Dream. The UCSC Percussion Ensemble and Sundanese Gamelan are featured in the first half of the April 26 concert, followed by two premieres by music faculty--Ben Leeds Carson's Lament and Conductus for Haegeum (Korean vertical 'violin' played by Soo-yeon Lyuh) and electric guitar played by the composer, and Hi Kyung Kim's thewestwind holds my melting heart! for clarinet and percussion. All concerts take place at the Music Center Recital Hall on the UC Santa Cruz campus and are free and open to the public. Doors open at 7 p.m. Concerts begin at 7:30 p.m. For more information, visit the Arts Division web site.